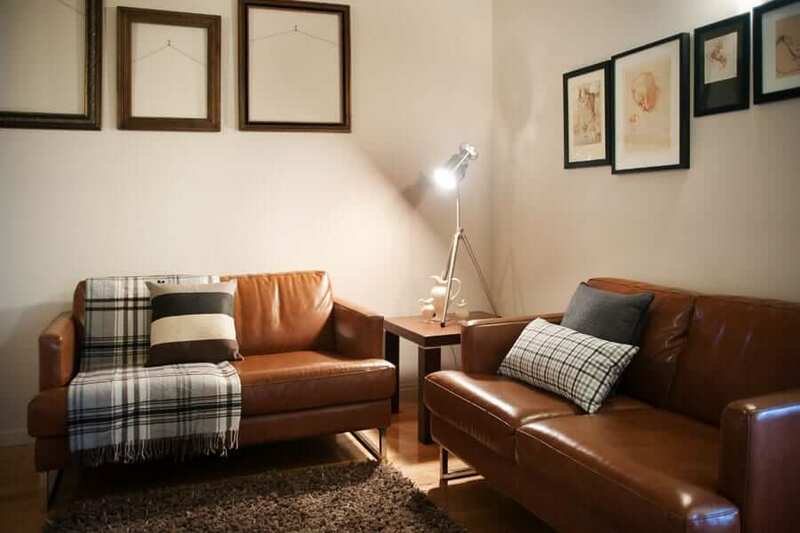 Circa Ruby Mint Daylesford features 1 bedroom and 1 bathroom. This beautiful cottage is perfect for an intimate getaway in the heart of Daylesford. Call us on 61 3 5348 2008 for more information. One among a triplet of semi-detached weatherboard cottages in the centre of town. With one bathroom and one gorgeous bedroom suite, this property is ideal for a small, intimate getaway for two. Alternatively, all three cottages can be booked collectively for bigger groups. Cosy yet luxurious, the cottage provides just about every amenity lodgers could need or want for their little holiday. A surprisingly spacious, open-plan living and dining area offers a well-equipped kitchenette, round table with bentwood chairs, plush couches, a TV and fireplace. Illuminated by natural light, this snug space features polished hardwood floors and white walls adorned with characterful artworks. The other half of Ruby Mint is where you’ll find the bedroom suite, spa bath and large shower. The elegant, canopied queen bed is just steps away from the spa, epitomising comfort. Yet more artworks hang in this room, and several windows offer natural light aplenty. Split system heating and cooling throughout the house will ensure comfort in any weather. Nestled in amongst its own vibrant garden, Ruby Mint manages to have a private feel while remaining within walking distance of many of the town’s attractions. Wellness centres, pubs, restaurants, curio shops and more await exploration. A little further out, Lake Daylesford, the Convent Gallery and the Wombat Hill Botanical Garden beckon with all the serenity and beauty of country Victoria. Circa Ruby Mint and its sister properties, Red London and Ivy Prince, offer a unique holidaying experience that is intimate and cosy while remaining right in amongst the bustle of town. A lovely little cottage in an amazing location. Warm and cosy in the winter, and full of lovely touches. It doesn't have a kitchen - so it's perfect if you're indulging in what Daylesford has on offer. We loved it and will be back! Perfectly positioned in the midst of Daylesford town. Walking distance to restaurants, pubs, attractions such as the Convent Gallery and The Lake. Short drive to vineyards and historic places in Ballarat. Warm and cosy, clean and comfortable with nice touches like chocolate, biscuits and dip, muesli and milk left for us. Enjoyed every minute of our stay. 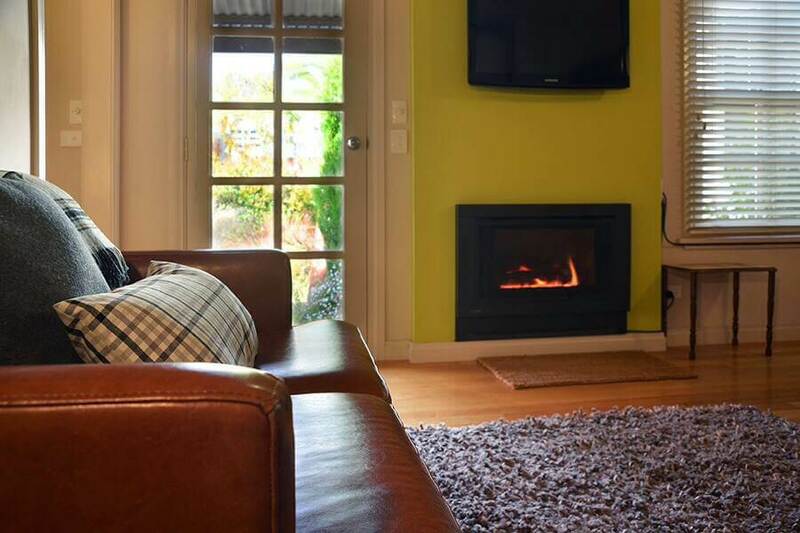 Lovely little cottage in the heart of Daylesford- walking distance to the Main Street, and also to other attractions such as Wombat Hill, and the Farmers Arms pub. Thoroughly enjoyed our stay. You may be interested in our other properties – See what Circa Ivy Prince has to offer your next vacation, perfectly located in the heart of Daylesford, or check out the magnificent Kate’s Place, or browse our other luxury choices in Daylesford accommodation.